In this structure is not to be found a single form distinctly Japanese; nor that of any other country; yet in its own individual form, its mass, and subsidiaries, its evolution of plan and development of thesis; in its sedulous care for niceties of administration, and for the human sense of joy it has expressed, in inspiring form as an epic poem, addressed to the Japanese people, their innermost thought. Since the arrival of Commodore Perry’s naval delegation in 1853, Japan had witnessed a steady march toward modernization and Westernization. In 1890, the Imperial Hotel, Tokyo, designed by Yuzuru Watanabe in the French Second Empire style, was the first western-style luxury hotel opened in Japan. By the turn of the century, the three-story wooden structure was no longer able to accommodate the growing numbers of visitors and it was decided to replace the outdated building with a new, modern hotel. 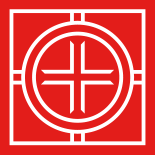 In search of a western architect who could bridge the cultural divide between East and West, the hotel’s owners commissioned Frank Lloyd Wright to design the new Imperial Hotel. Built on a far grander scale than any of Wright’s previous commissions, the 250-room hotel was approximately H-shaped in plan, arranged around a large courtyard and reflecting pool. Wings containing guest rooms flanked either side and extended towards the rear of the site. In order to combat the dangers of Japan’s frequent earthquakes, the building was engineered on a floating foundation with reinforced steel. Clad in golden brick and pale Oya stone, a local volcanic rock, the richly ornamented building was like nothing seen before in Japan. 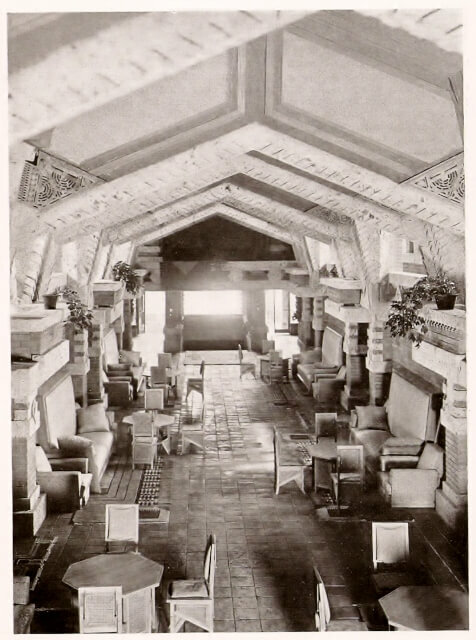 Like Midway Gardens, which Wright had completed in Chicago in 1914, the hotel featured an extensive decorative scheme, comprising patterned cast concrete, carved oya stone, terracotta panels, murals and custom furniture and rugs designed by Wright in harmony with the rest of the building. 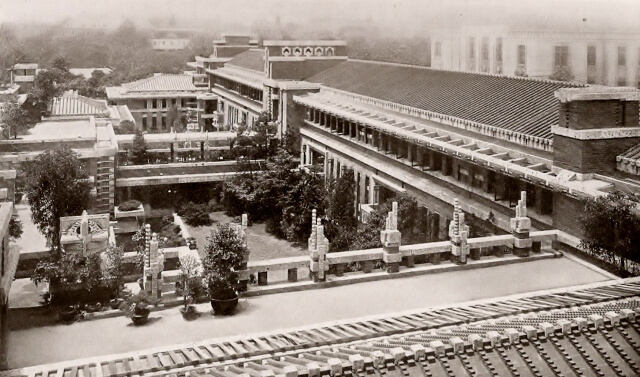 With the conclusion of the Imperial Hotel project, Wright would not visit Japan again. While he continued to collect and deal in Japanese prints after 1922 he would not return to the country that had played such an important role in the development of his visionary design philosophy. The Imperial Hotel itself would be demolished in 1968 to make way for a new, larger hotel. Portions of Wright’s Imperial Hotel were saved and rebuilt at The Meiji-mura open-air architecture museum in Inuyama, near Nagoya.